The Green River formations of Wyoming, Colorado and Utah are famous for the quality of preservation. The Fossil Lake section, near Kemmerer, is famous for the abundant fossil fish. The locality is protected by designation of the surrounding lands as part of the Fossil Butte National Monument. The monument visitor's center, 9 miles west of Kemmerer, is well worth the time and gives you a good overview of the site. Be sure to pick up the newly published booklet which aids in identifying the fish. 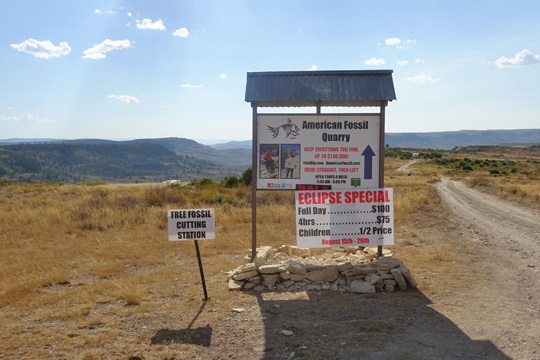 there are several commercial quarries, located on leased BLM land, where you can dig for the fossil fish for a fee. you are practically guaranteed to come away with some very nice fish fossils that would retail for as much or more as the fee. 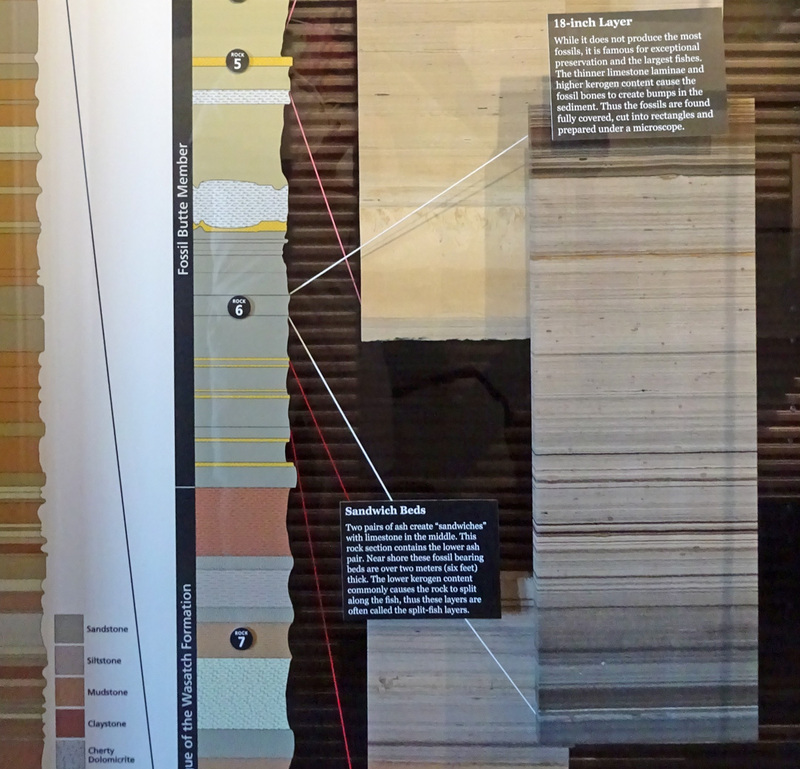 There are two main fossil bearing layers, the "18 Inch Layer" and the "Split Fish Layers". The Split Fish or Sandwich layers are highly fossiliferous with a wide variety of lacustrine fossils. The commercial quarries expose approximately the same rock layers in the "Split Fish" zone, so the quality of the fish is similar. The 18 Inch Layer is reserved for specialized hunting trips, conducted at night at a much higher cost and with more restrictions. Two of the three are commercial quarries are side by side, about a 40 minute drive north of Kemmerer on a combination of paved highway and dirt roads. The American Fossil Quarry and the Warfield Quarry are adjacent. 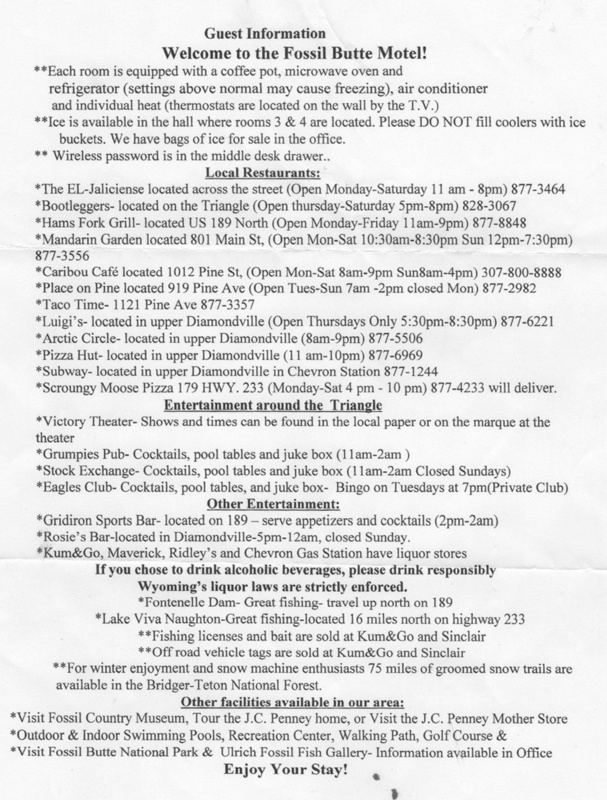 The directions posted on their respective websites are adequate to get you there. 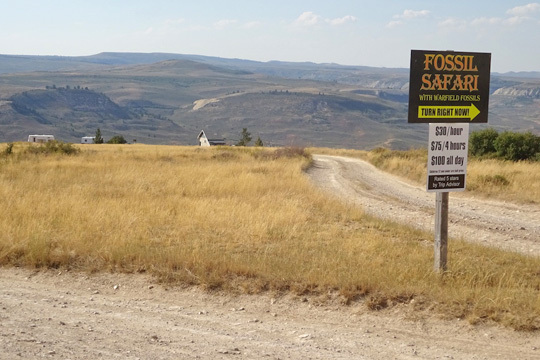 Ulrich's facility is located west of Kemmerer, near the Fossil Butte Visitor's Center. Each of the quarries is operated somewhat differently but you will find fish at any of them. Once at the top of the hill, turn left or right for fish fossils. We have been to the Warfield quarry (Fossilsafari.com) on two occasions and the American Fossil Quarry one time. Click on the photos to see our reports from each quarry. Bring water, sunscreen and food as there is nothing available at either quarry. Before going to the site, be sure to prepare a method for transporting your fish plates home. The method we used was to stack them edgewise in a rubbermaid bin, separated by cardboard and thin bubble wrap. The shale is rather fragile and a number of the plates broke in transit before we repacked them this way. We have stayed at the Fossil Butte Motel and the Energy Inn but in recent year a couple of number of newer motels have been built. For dinner, we ate at Bootleggers, on the Triangle in Kemmerer, the food and service were both good. 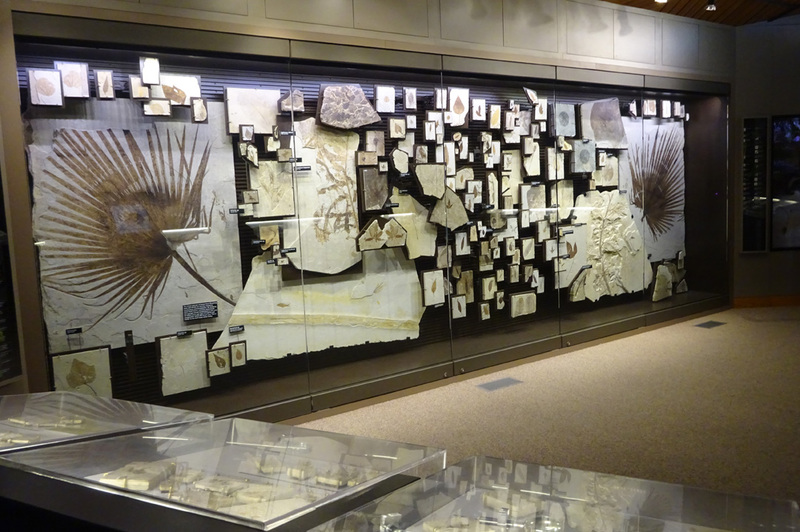 There are a couple of fossil shops on the town triangle and a museum about a block away. Bob's Rock Shop was also worth a look and Bob is mighty nice.